COTABATO CITY, Philippines (Mindanao Examiner / Apr. 30, 2011) – A Filipino socialite and politician Margarita Cojuangco has been reported to have agreed to run as regional vice governor in elections in the Autonomous Region in Muslim Mindanao with ex-congressman Pax Mangudadatu as their official candidate for the regional governor. The decision was arrived later on Thursday after both Cojuangco and Mangudadatu agreed to join forces, said Teng Garcia, a spokesman for Mangudadatu, who was a former governor of Sultan Kudarat province for nine years. Mangudadatu’s son, Suharto, is now the provincial governor, and son-in-law, Raden Sakaluran, is a congressman while another daughter, Ruth Sakaluran, is a town mayor. Elections in the five-province autonomous region are set this year, but President Benigno Aquino III was talking to his allies in Congress to postpone the polls and synchronize it in the national elections in 2013. It was unknown if Cojuangco, former governor of Tarlac province in Luzon Island, could muster enough support from Muslim voters and politicians in the autonomous region, particularly from the four influential provincial governors of Sulu - Sakur Tan; Jum Akbar of Basilan and Tawi-Tawi’s Sadikul Sahali, and Esmael Mangudadatu of Maguindanao. The four politicians have thrown their support behind Aquino and have campaigned for the postponement of the ARMM elections, and for the President to appoint officers to take charge of running the regional autonomous government until new leaders are elected. Cojuangco, who resides at a posh village in Makati City, may not be eligible to run in the autonomous region because under the law, she should have resided in the Muslim autonomous region for at least one year. But Mangudadatu's spokesman said the socialite owned houses in the Muslim autonomous region. “She has many houses in the region,” he said. Cojuangco is the aunt of the President being married to Aquino’s uncle and clan patriarch Jose Cojuangco. She had been spotted travelling in Maguindanao, Basilan and Tawi-Tawi the past weeks and was reported to be lobbying for support, but is unknown to many Muslims in the autonomous region. The governor of Lanao del Sur province, Mamintal Adiong, is also eyeing the position of the regional governor which is currently being held by his younger brother, Ansaruddin Adiong. The young Adiong is said to run for the gubernatorial post in Lanao del Sur to pave way for his brother’s ambition to become the regional governor should elections push through. 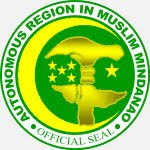 Adiong, the ARMM’s vice governor, was appointed officer-in-charge after Zaldy Ampatuan, the elected regional governor, was arrested and jailed along with his father and brother and relatives after being accused of killing 57 people, including at least 32 journalists in 2009 in Maguindanao province.